The Bugatti 100P was an airplane unique in its use and its existence—it was a one-off project by company founder Ettore Bugatti around the start of World War II, and it never got to fly as meant to. A replica of the plane reportedly crashed nose first in a test flight on Saturday, killing its builder. According to a report from local news station KFOR, the 100P replica went up for its third and final test flight on Saturday morning in Burns Flat, Oklahoma. Crew members told KFOR the replica—flown by creator Scotty Wilson, a pilot with a reported 11,000 hours in the cockpit—was to be put in a museum following the flight, and a small crowd gathered to watch the plane that morning. Within seconds the wood frame craft caught fire. A chase helicopter landed quickly to give aid but the pilot, Scotty Wilson, likely died on impact. Crew members and onlookers are unsure of what caused the plane to go down, but KFOR reports that the National Transportation Safety Board arrived at the crash site on Saturday afternoon to assess the incident. KFOR has a video showing the takeoff and aftermath of the crash, cutting out the actual downward trajectory of the flight. 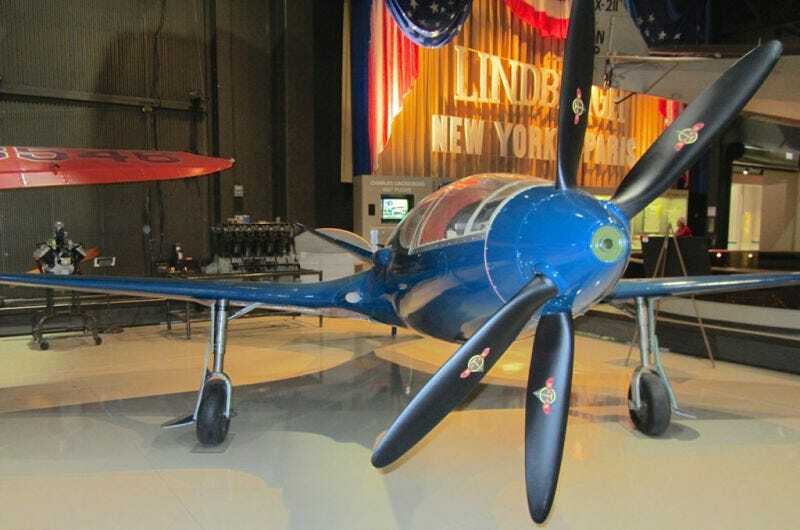 A former U.S. Air Force fighter pilot, Wilson assembled a crew to revive the airplane in replica form a few years back and finally allowed the 100P—even if not the original—to fly. The whole story of the 100P and its replica can be found here. The original 100P never flew due to ending production too late for the race it intended to fly in, the 1939 Deutsch de la Meurthe Cup Race, and because of the start of World War II. Ettore Bugatti took the plane apart when German forces invaded France in 1940, keeping it at his estate and out of the path of war. The plane survived the war, but went to the Experimental Aircraft Association’s AirVenture Museum for display after being reconstructed.